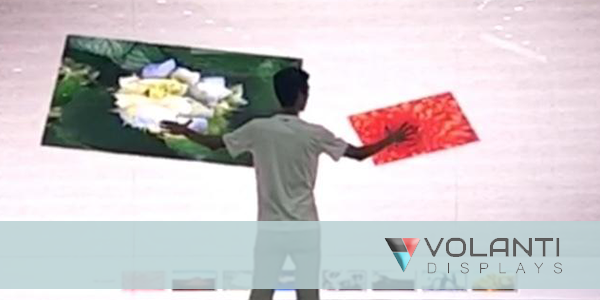 Volanti can now offer LED video walls with touch screen support. This is available for 0.9mm, 1.2mm and 1.5mm fine pitch direct view LED video wall models. A key difference from the normal LED video wall versions is the smooth coating that provides both protection to the LED display components as well as a more pleasant touch surface. In addition the video wall has an IR touch frame for touch detection. Watch the Volanti website for updated information on this exciting new product.